Stay cosy and comfortable on rest day in this comfortable sweatshirt made with a soft cosy fleece construction. The marble mélange look gives this sweatshirt a lived-in feel while the full zip silhouette gives you a classic lifestyle look that's perfect for layering. 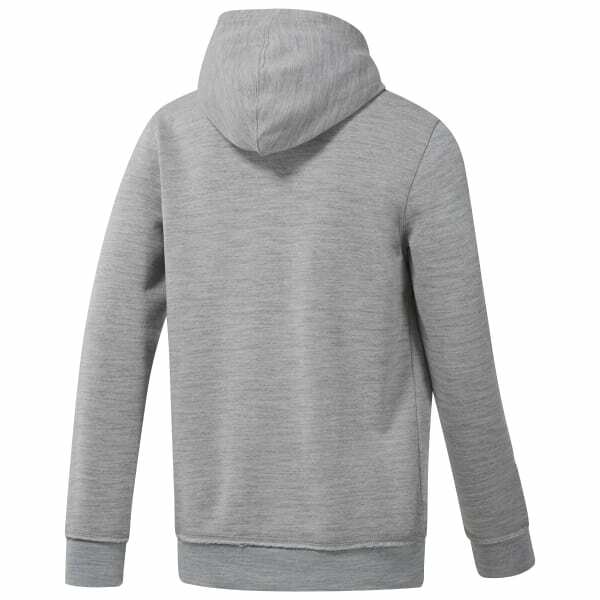 The open hand pockets are perfect for warming up cold hands and the slightly higher neckline and draw cord at the hood help keep cool air from chilling your vibe.